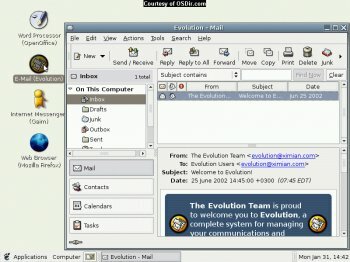 BeatrIX Linux is a live-CD containing kernel 2.6.7, Gnome 2.6, Open Office 1.1.2, Firefox, Evolution, GAIM and more. It doesn`t touch your hard drive or in any way mess up your current O.S. It was designed primarily for the new breed of Via mini-ITX motherboards that are fanless, low-powered and tiny, but will run on just about any Pentium-class computer with at least 64 megs of RAM.